Christmas time is one of my favorite times of the year to craft. There are almost endless possibilities when it comes to DIY gift ideas, stocking stuffers, home decor and ornaments. 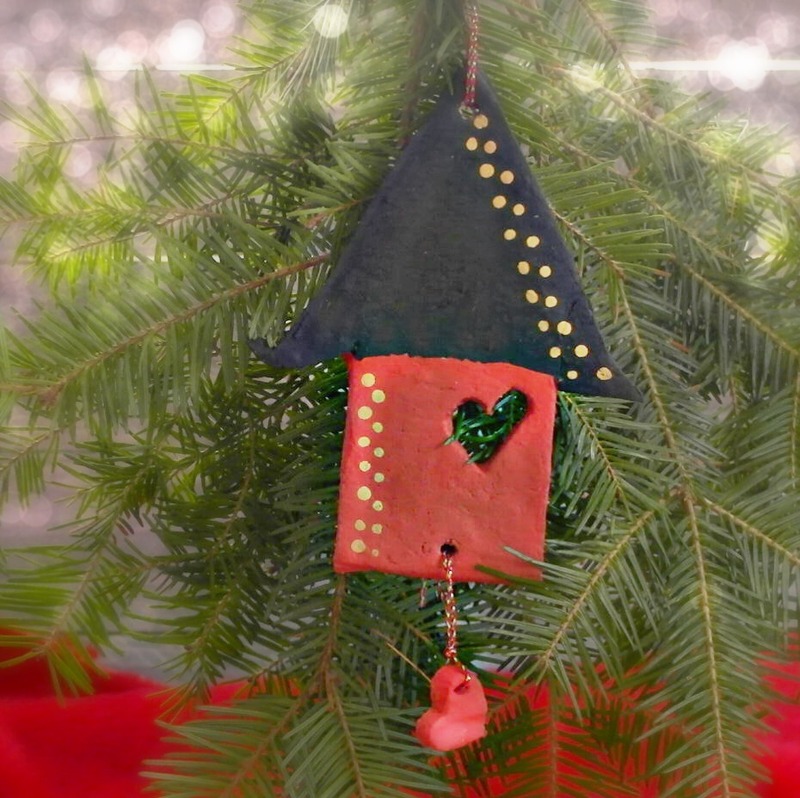 I love the idea of creating a special ornament each year with your kids and saving them all for the future. 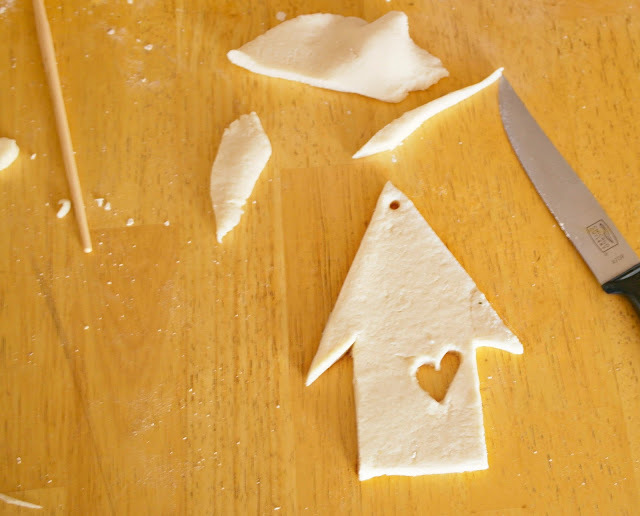 This Home is Where the Heart is Ornament is one that you can easily make from home with your children. Of course, adult supervision is required because of the knife that is needed to cut the ornament shape, but it still provides holiday fun for the whole family to do together. *For this next step, use a cutting board or do it on the cookie sheet because you will be cutting the dough. 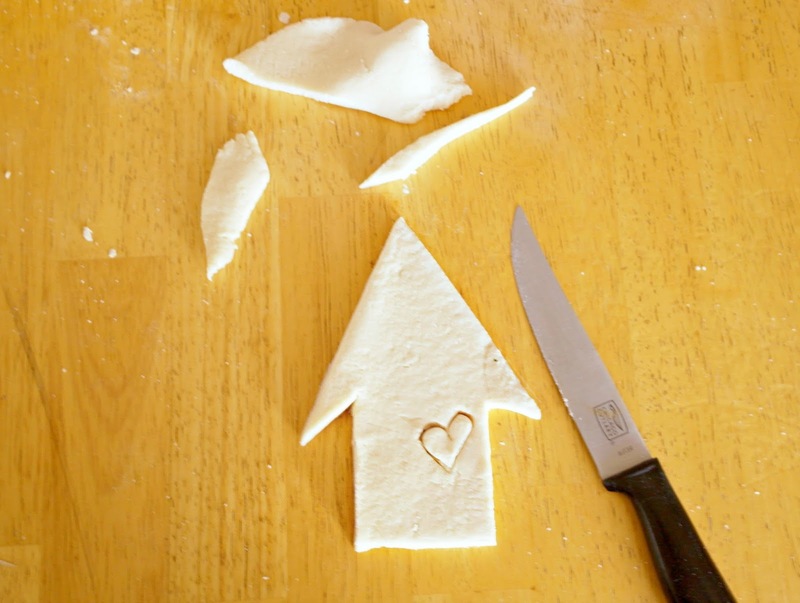 Step 3: Use a carving tool to cut the shape of a house out of the flattened dough ball, peel away the excess. Step 6: Place on wax paper and heat in the microwave for 10 seconds. Then 10 seconds again. 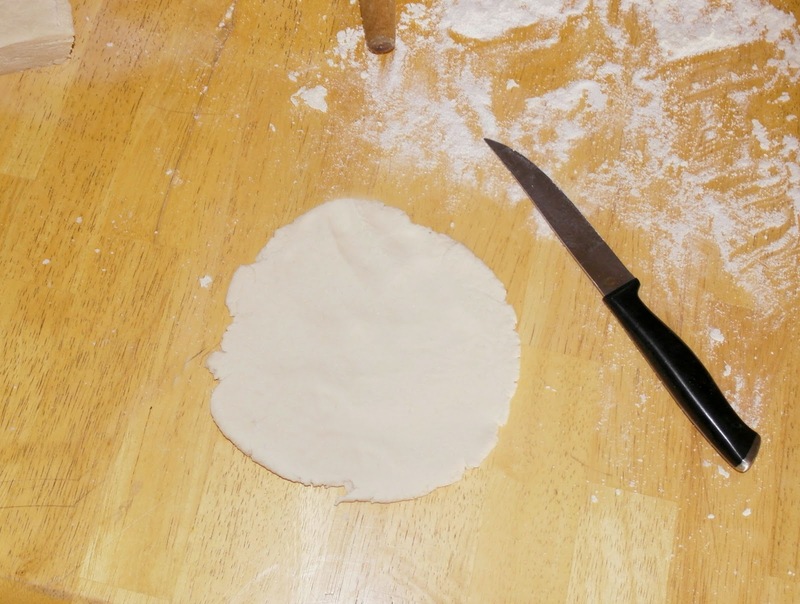 Repeat at 20 seconds until dough is dry and hardening, about 4 more times. Step 7: Let the ornament cool completely and paint as desired , let dry. Step 8: String the heart through the bottom hole and hook an ornament holder or string through the top of the ornament. This is an adorable project. I'll have to try it with the kids, thanks for sharing. I love this ornament! Pinning.